A couple of autumn leaves fall onto your lawn. You don’t really notice. A few more fall on the grass and into the flower beds. 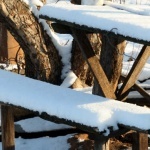 No problem, they’ll release essential nutrients as they rot and help feed your plants. Then the autumnal foliage ups its game and seemingly overnight the whole lawn is obscured by a carpet of fiery hues. Time to break out the garden tools. But which de-leafing tool is best for your outdoor areas? To help you we’ve put together the five best leaf removal methods and the pros and cons of each. First up the most obvious tool: the trusty rake. Raking leaves into a pile then scooping them into your wheelbarrow is a tried and tested method. Sharp rake tines could scratch decking or damage tender stems in your flower beds. 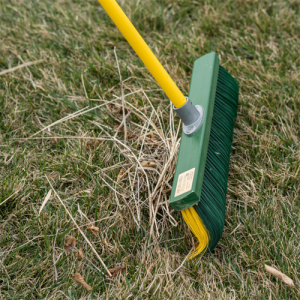 On flat areas, a broom beats a rake hands down. We especially like the Renegade Broom, which we tried out a couple of months ago, as it picks up autumn leaves and garden debris much more easily than your standard garden broom. 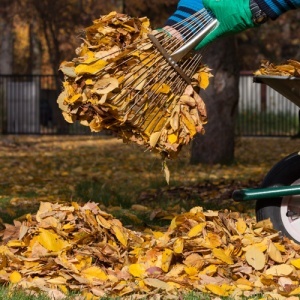 To save time (and your back) a leaf blower easily makes piles of dry autumn leaves that you can scoop up into your wheelbarrow. Blowers can be used to remove leaves from tricky places like gutters, rockeries, gravel, the base of fences and the edges of your garden. 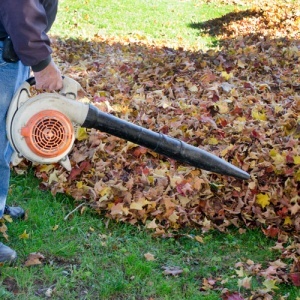 You won’t pick up every single leaf with your blower. If you want to completely remove leaves from your lawn you’ll most likely have to pick up a few leafy stragglers by hand. 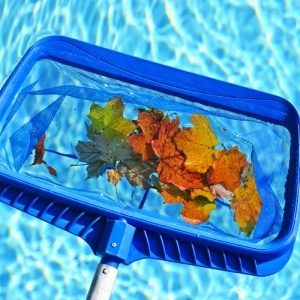 Garden vacuums let you remove and gather leaves at the same time. 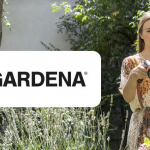 You can get both stand-alone garden vacs and leaf blowers that also have a vacuum function. Some models even shred the leaves for you, so they break down into compost quicker. 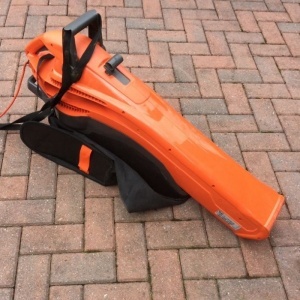 The capacity of the average garden vac bag isn’t huge; you’ll probably need to empty it often. Some vacs cope better than others with wet leaves and rubbish. Most areas except gravel, bark and any other garden materials likely to be sucked into the vac. How do you remove leaves from your pond? A fishing or swimming pool net is ideal. A few leaves won’t be harmful, but too many can build up at the bottom and affect the fish or marine life living there. You get both maximum convenience and minimum disruption to pond life; using a net means you don’t have to remove the water from your pond. Accidentally removing more than you bargained for! Check no fish or other marine life has been caught in the net. Heavy netfuls of leaves can cause the net handle to bend or break. Select a sturdy model. One last tip! Once you’ve collected your autumn leaves we highly recommend adding them to your compost heap to mulch down. Leaf mulch can be used to help keep your soil, lawn and flowerbeds healthy. 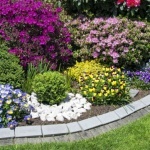 Adding shredded leaves to flowerbeds also helps protect plants over winter. Want more handy gardening tips? See our autumn recommendations for savvy gardeners.